Well, my desk is getting a little ignored today. 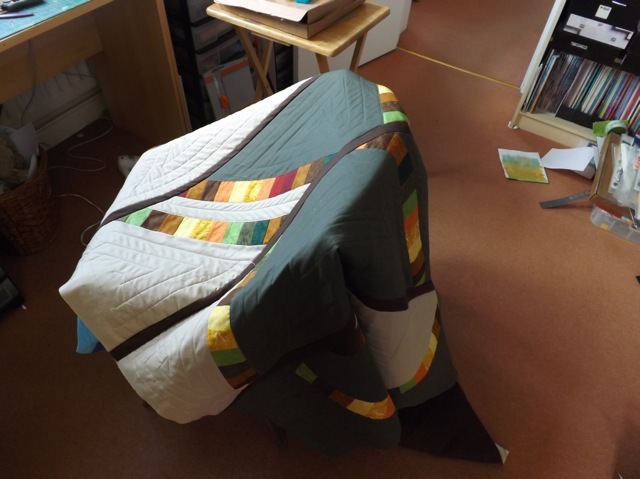 I am finishing up my big quilt and am now to the stage I have to bury all the beginnings and endings of the machine quilting. Not as many as there could be, but enough to be annoying. It’s spending the night draped over my chair so I have to deal with it first thing this morning! 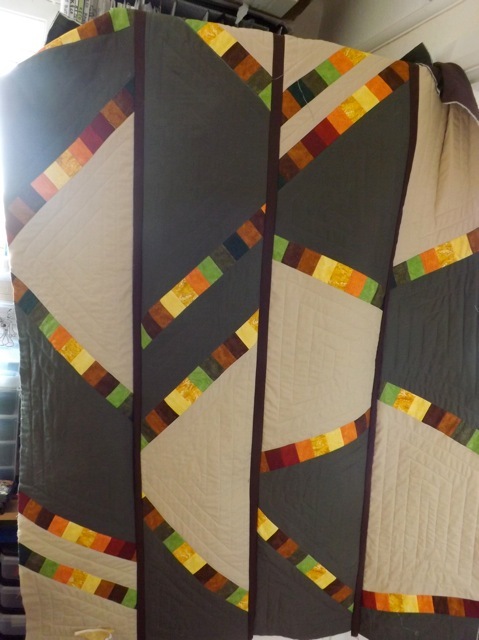 The four long panels are all quilted, the sashing to join is done, I have a decision r two to make about a border. then I can start using it. YAY! See those annoying ends? Grrr. 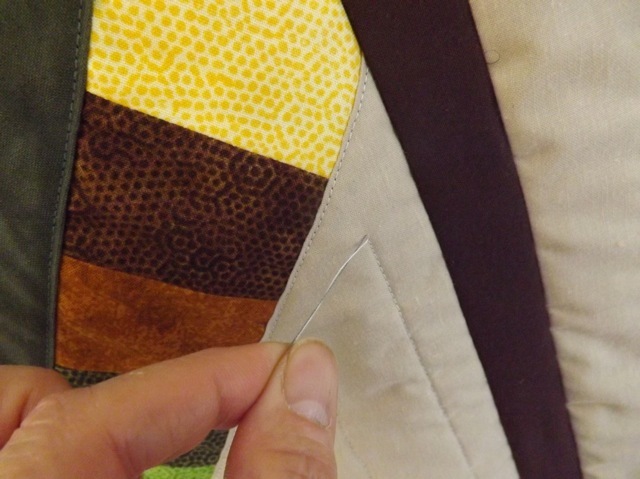 Pulling up the bobbin thread has to be done but I wish you could magically tuck them in rather than threading each one, popping the knot, and burying the ends. I have one more flip-flop box and had another shrine idea – much like Bathtub Marci, but….not. We’ll see how it works out. Look back to yesterday to see her. She is still making me smile. 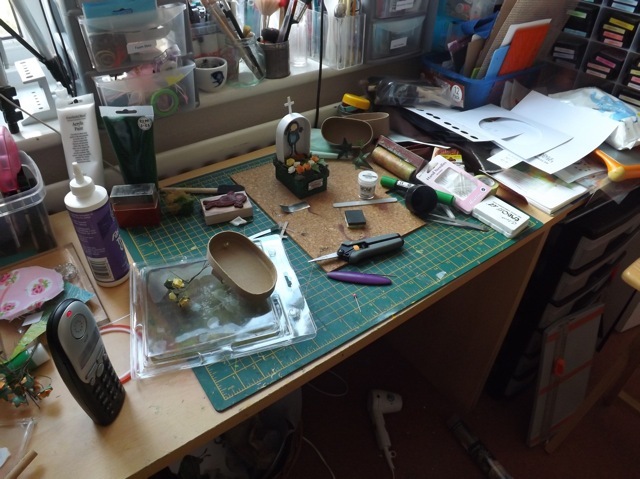 My desk is as varied as my projects – Gelli plate, needles and threader, boxes and leftovers from the chili clock.